I have a very soft spot for critters, especially mice--probably doesn't hurt that my nickname is mouse and that cheese is my favorite food. 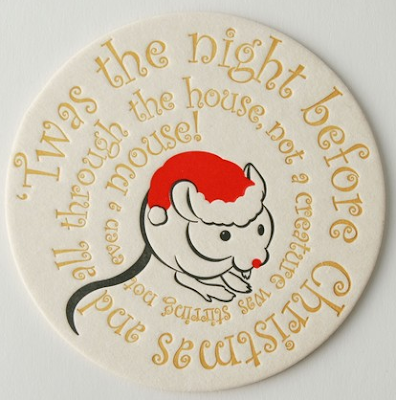 Hence, why my heart melted when I saw these adorable Christmas mice coasters on 1915 press Etsy's store. WOW! How cute is that. May have to get some for our massive Xmas party. Can you believe we were crazy enough to invite 100 friends(200 as couples)! Our house is so small. Space heaters outside may be teh answer!! But I just want these coasters now.